Our hair goes through a lot every day. And with improper care comes hair fall. With excessive hair fall, you might feel less confident about your looks. But don’t worry. Kaya’s Root Regen System is an advanced hair treatment that can help get rid of all your hair problems. 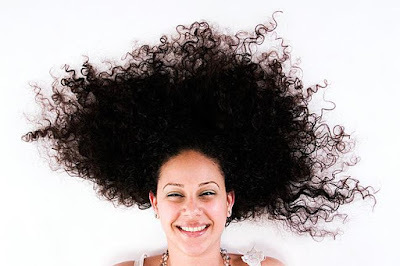 Although we lose several strands of hair every day, it is replaced by new, growing hair. But when this process is inhibited, you start to lose hair. This is where Kaya’s expert dermatologists come into the picture. Diagnose: The expert dermatologists and hair doctors diagnose each part of your hair and scalp to determine what causes hair fall on your scalp. Treatment: Based on the results of the diagnosis, a personalized treatment procedure is recommended which is also carried out by the expert dermatologists themselves if required. Maintenance: Kaya’s expert dermatologists also suggest products and methods that can help in keeping your hair strong and healthy. This therapy includes microinjections of nutrient cocktails directly to your scalp. This nutrient cocktail contains natural plant extracts and essential nutrients and vitamins that promote hair growth. This is one of the safest, non-invasive, US FDA approved treatments that helps hair regrowth. Platelet Rich Plasma, or PRP, is a solution that is obtained from your own blood sample. This is then microinjected into your scalp to stimulate hair regrowth. This treatment uses technology to help reduce hair fall. Charged ions help deliver a nutrient cocktail directly to your hair follicles through your skin. 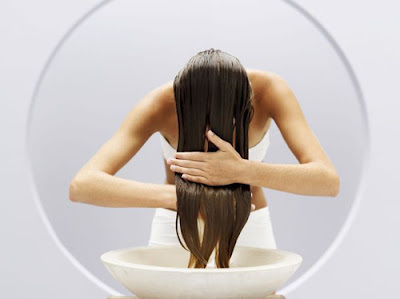 This treatment uses light to stimulate hair follicles in your scalp. A safe laser is used to improve blood flow and enhance cell functioning to encourage hair regrowth. It is not enough to get a hair restoring treatment. You will need to maintain your hair and scalp to ensure that hair fall and damage don’t return. There are a lot of factors that can affect hair health. Which is why Kaya brings a holistic hair repair formula, the Root Regen Range. This is an advanced treatment performed to try and eliminate all kinds of causes for hair fall. And it works where your hair needs the most attention, the roots. The Root Regen Range comes with a set of four products that function as a holistic hair loss treatment. This is the first step to nourishing your hair and scalp with the Root Regen Range. This hair oil is enriched with macadamia, olive, and avocado oils to nourish your scalp and stimulate hair growth. It has a non-greasy texture that prevents your hair from looking too oily when applied. This shampoo is formulated specially for hair fall prone scalps and can be used every day. With the goodness of apple, lemon, basil root, and sugarcane extracts, the shampoo gently cleanses dirt without stripping the scalp of its natural moisture. It strengthens hair shafts to reduce breakage and also promotes cell renewal. This hair pack nourishes hair when a shampoo can’t. Infused with sugarcane, apple, lemon, and basil root extracts, the masque reduces hair fall. It also smoothens hair for silkier and shinier hair. This serum comes with a lightweight formula and is easily absorbed into your hair and scalp and doesn’t give you an oily look. It works on your hair fibers and strengthens them to reduce hair fall and breakage. These products ensure that you get the basic steps of hair care right. Each of these products is easily available on Kaya’s online store. But if you think that your hair needs a more personalized treatment, then you can head over to the Kaya Clinic website and book an appointment with one of their expert dermatologists or expert hair doctors. Can Just A Change Of Shampoo Stop Hair Loss?